Telephone tobacco quitlines are effective at helping people to quit, but they often fail to reach a diverse population of smokers, particularly men and people of color. Quitlines mainly use a cognitive-behavioral approach, with techniques that have been used for many years. New research, however, suggests guided imagery can be effective in helping smokers quit. Guided imagery is a form of visualization in which a coach helps smokers harness the power of their minds in addition to changing their behaviors. Guided imagery has been used by coaches and athletes for decades to help them succeed. Now, powered by results from her recent See Me Smoke Free study with women smokers, University of Arizona College of Nursing Professor and Interim Associate Dean for Research Judith S. Gordon, PhD, hopes to use guided imagery to help smokers quit. This is the first study to develop and evaluate a telephone-based, guided imagery smoking-cessation program. Dr. Gordon’s Be Smoke Free program, funded by a $700,000 grant from the National Center for Complementary and Integrative Health, now is open to smokers throughout Arizona. 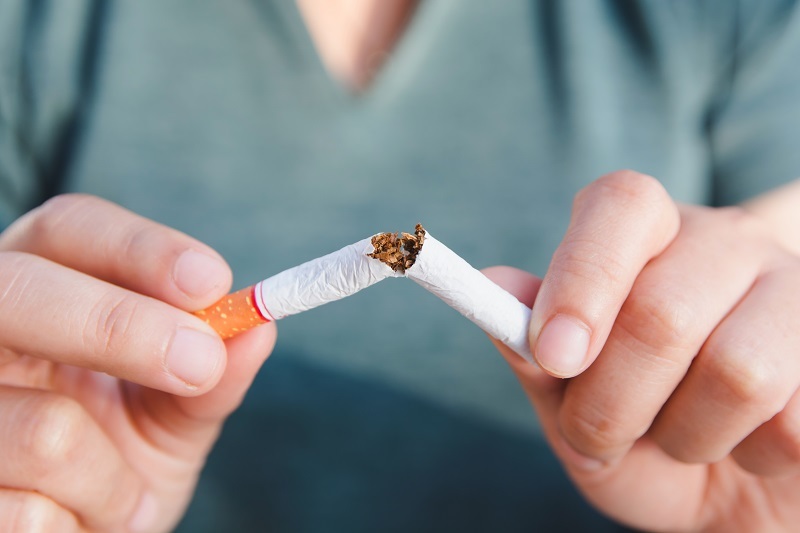 The Be Smoke Free program offers participants six weekly coaching sessions delivered over the phone, four weeks of nicotine patches or lozenges, and web-based tools at no cost. Participants will be randomly assigned to one of two types of coaching: guided imagery or a standard intervention. Both programs include individual attention and development of a personal quit plan. The standard intervention focuses on changing behaviors, while the guided imagery intervention coaches also work with participants to develop guided imagery audio files that can be reviewed on their phone, computer or MP3 player. Dr. Gordon’s team is reaching out to all smokers, particularly men and diverse racial/ethnic groups to offer a new opportunity to quit. “We know telephone quit coaching works, and we know that guided imagery has helped athletes win. So, we’re hoping that by using this guided imagery approach, smokers will be more open to trying something new,” she says. The developmental Be Smoke Free study has the potential to advance the science of tobacco cessation through the addition of guided imagery, and improve public health through increased reach of telephone quitlines. Dr. Gordon hopes that results from the study will set the stage for a larger, national study designed to test the effectiveness of the guided imagery quitline program. For more information about joining the Be Smoke Free program, please click here, call 520-626-4243 or email besmokefree@email.arizona.edu. For more information about the study, please contact Dr. Gordon at 520-626-4970 or judithg@email.arizona.edu.